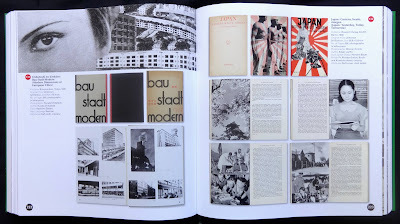 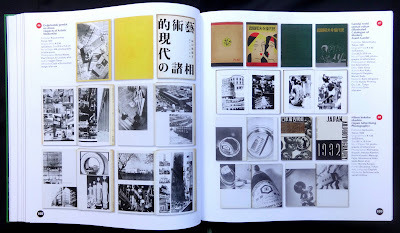 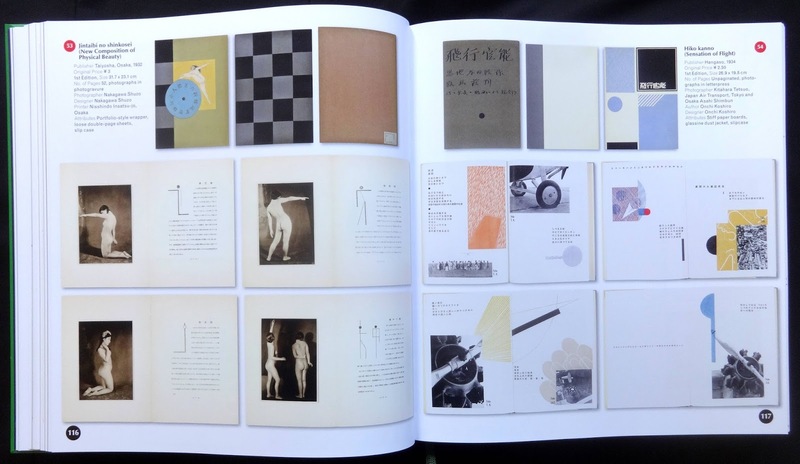 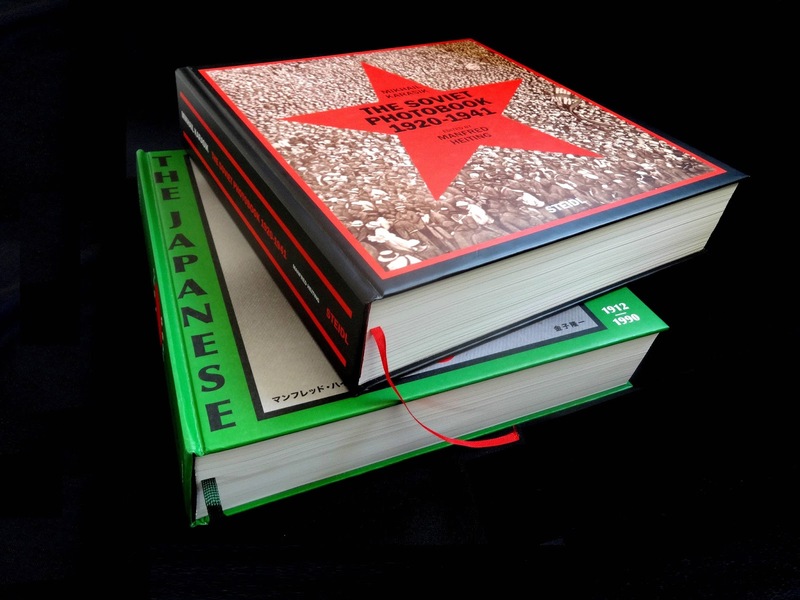 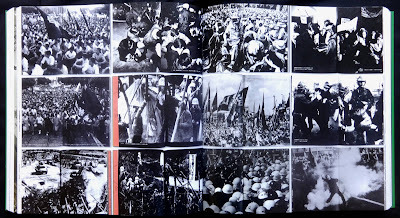 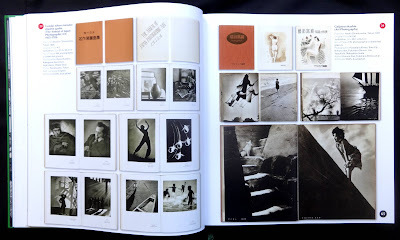 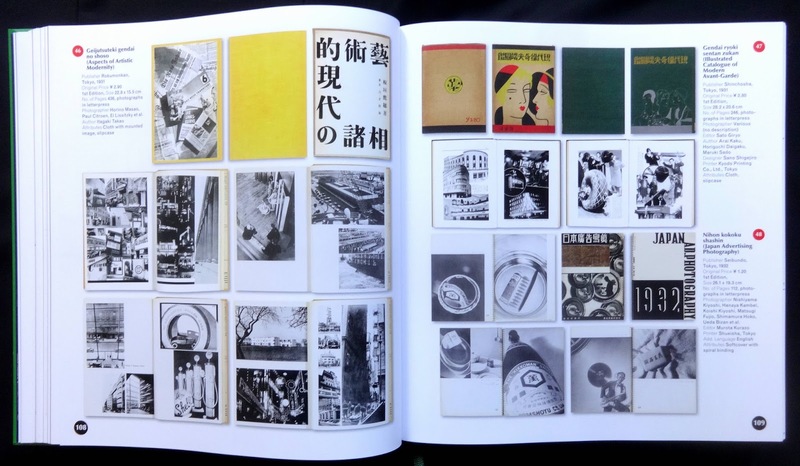 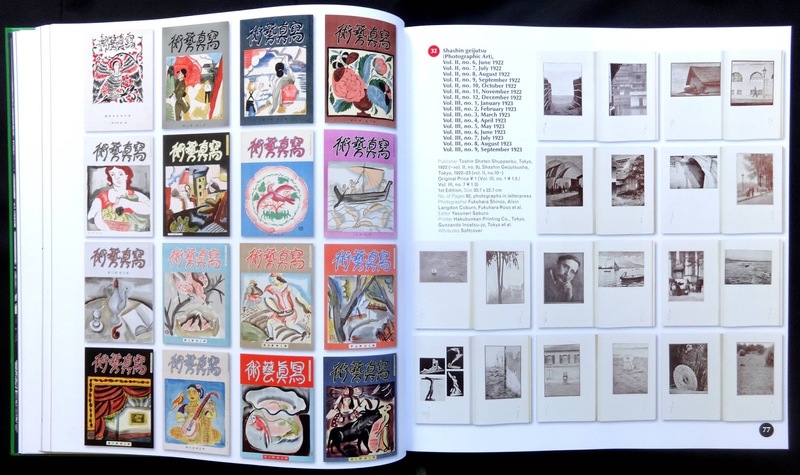 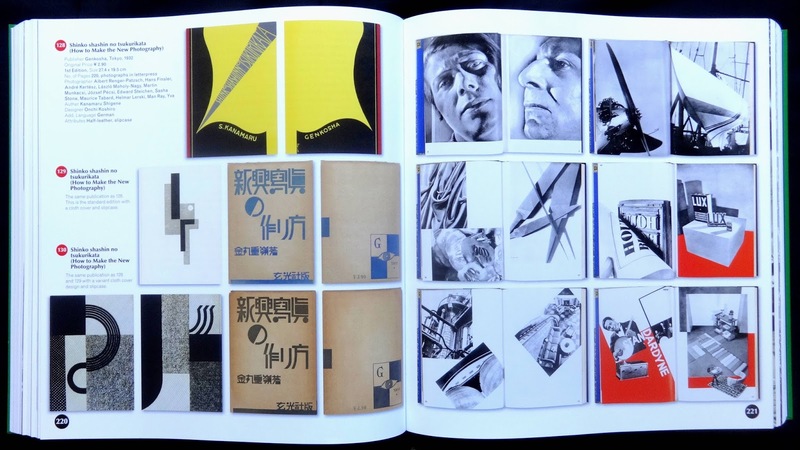 In 2015 Steidl published the remarkable (and visually stunning) Soviet photobook 1920-1941 edited by Manfred Heiting, the theme continues with this look at Japanese photobooks which he also edited. 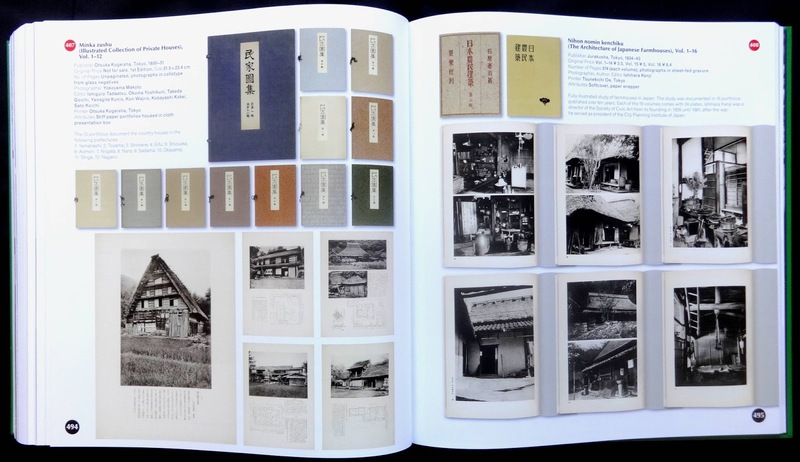 This survey considers 511 books starting with the funeral of the Meiji Emperor published in 1912 containing eighty-two photos by Ogawa Kazumasa. Before this printing techniques were still being developed and many books of photos existed as single unbound pages. 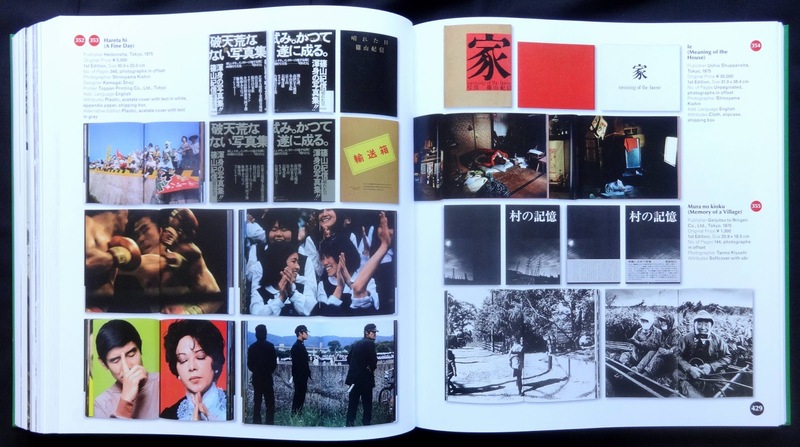 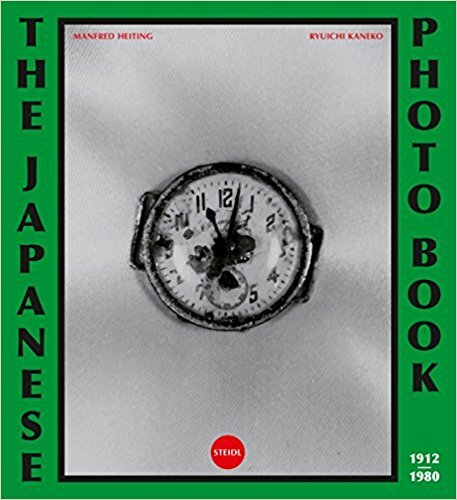 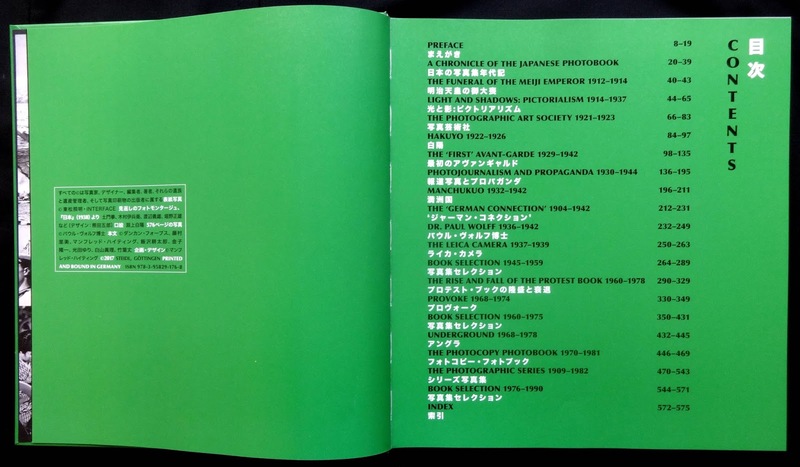 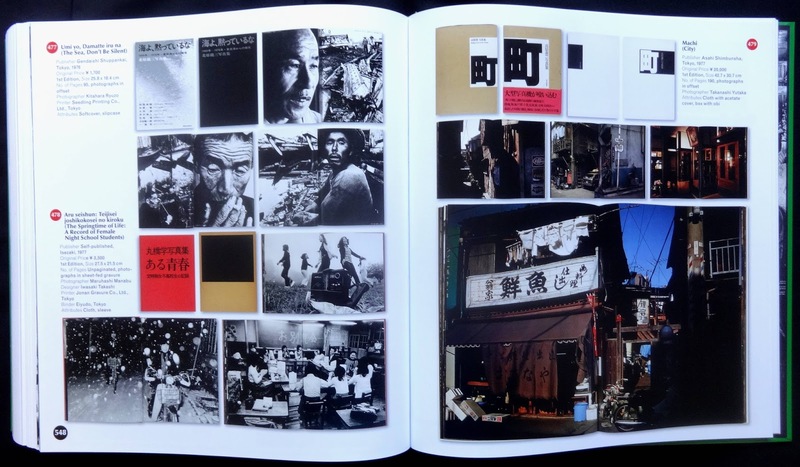 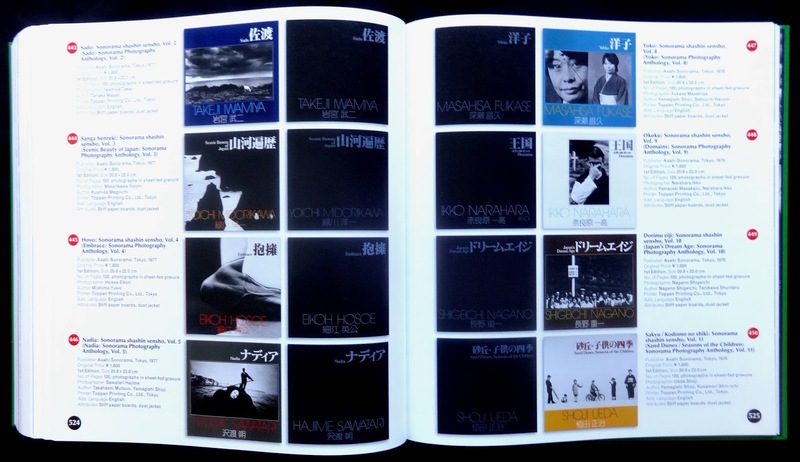 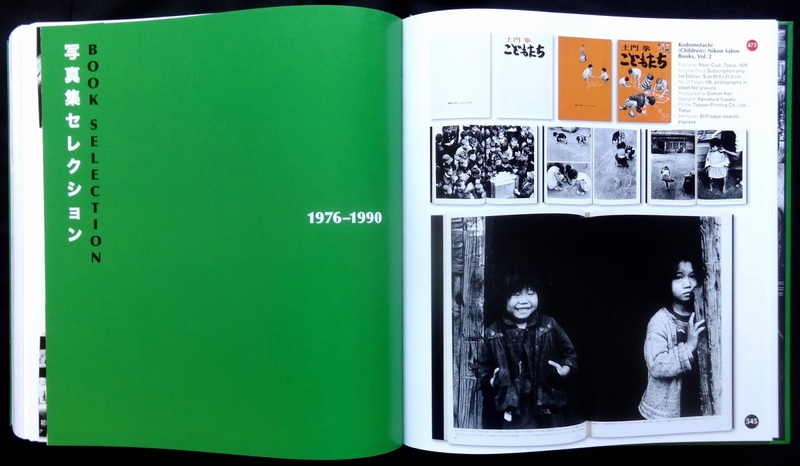 The book's twenty chapters examine Japanese photography as revealed in photobooks with a detailed look at specific historical highlights, for example: propaganda 1930-1944; the German influence; Leica camera 1937-1939; protest books 1960-1978; underground 1968-1978. 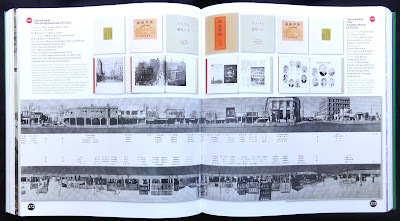 The chapter on Manchukuo 1932-1942 (after 1945 Manchuria) has some fascinating picture books showing new developments with buildings, industry and agriculture which Japan hoped, with overseas distribution, would be the fastest way for international recognition for the country they invaded. Japan and Germany signed an Anti-Comintern Pact in 1936 (essentially to contain the Soviet Union) and this produced a rather intriguing collection of photobooks about the 1936 Olympic Games, Bauhaus design, the small hand-held Leica (ten books featured) and of course WW2. 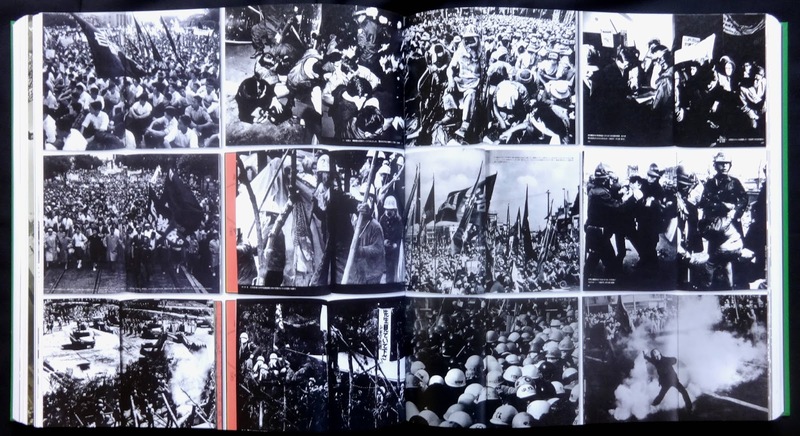 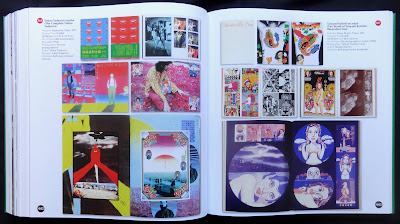 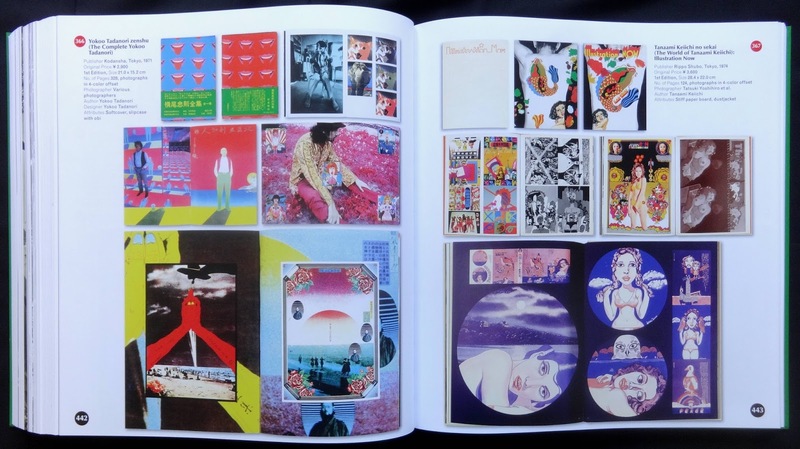 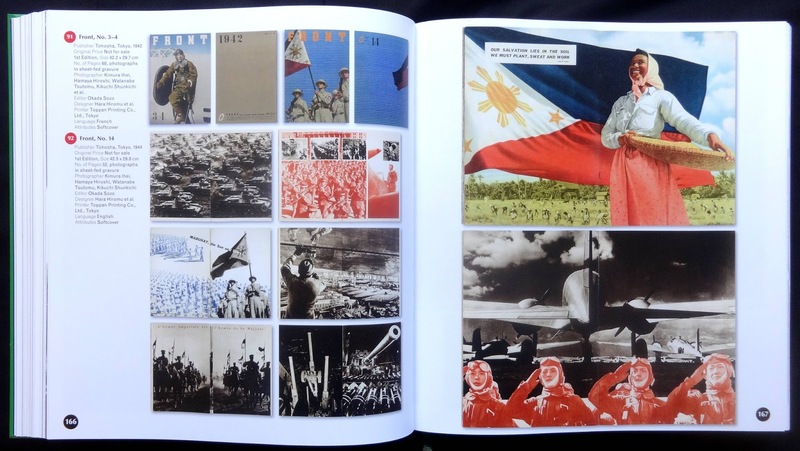 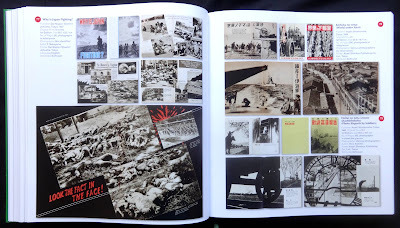 The Japanese military produced a visually exciting propaganda magazine called Front (with design inspiration from the famous USSR in construction) there are forty spreads in the book showing an amazing use of photos and design. 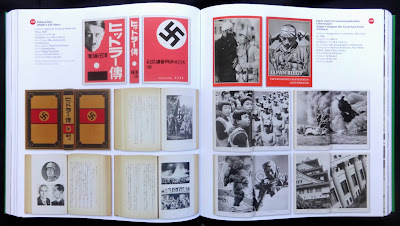 Page 228 shows Hitler's Mein kampf published in Japanese with photos by Heinrich Hoffmann (which were absent from the German editions). 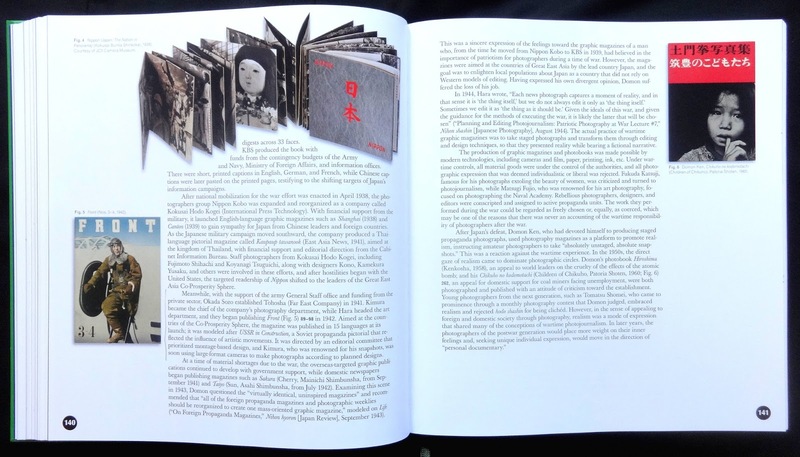 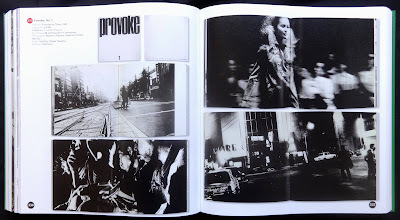 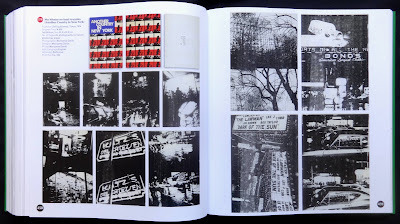 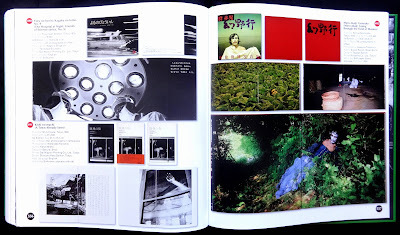 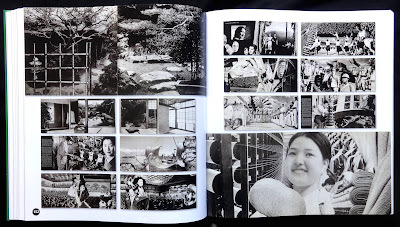 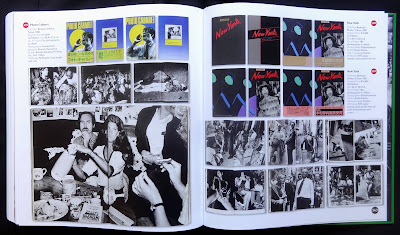 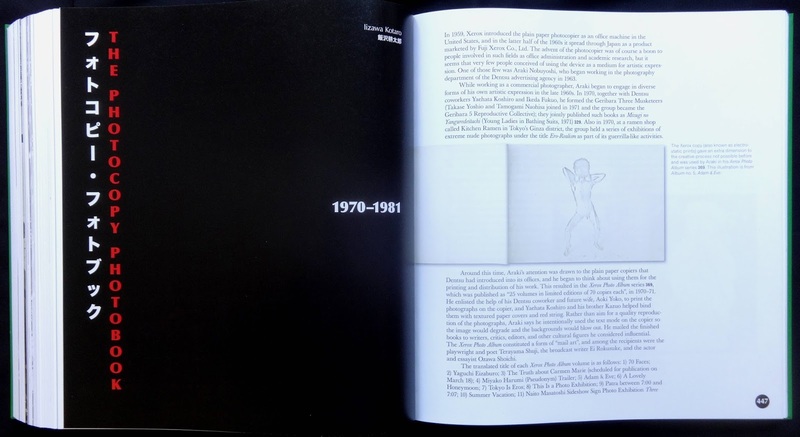 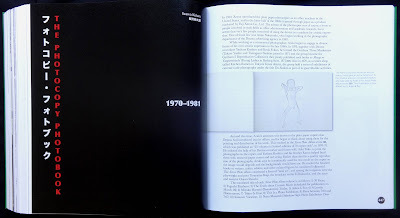 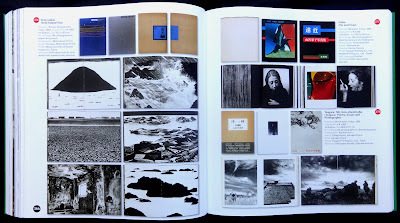 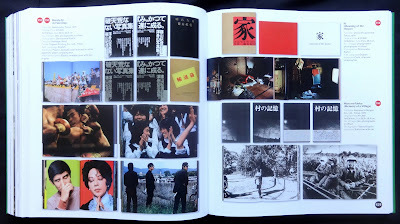 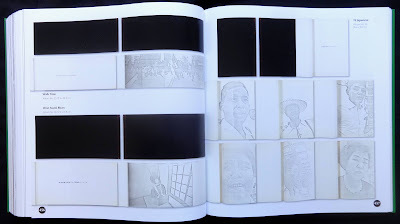 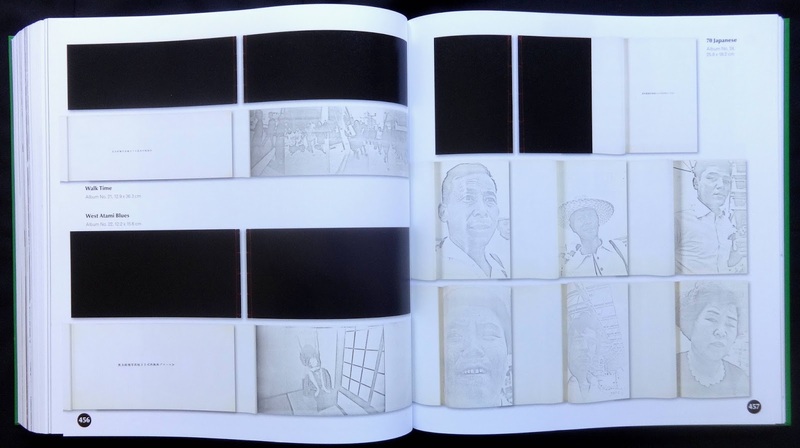 An unusual chapter The photocopy photobook shows several 'books' of photos run-off in the seventies from Araki Nobuyoshi and others using lightweight CH paper with stapled sheets and in short editions that exploited the reduced grey tones of the Xerox copier. 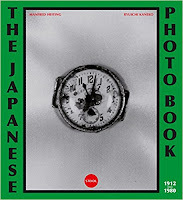 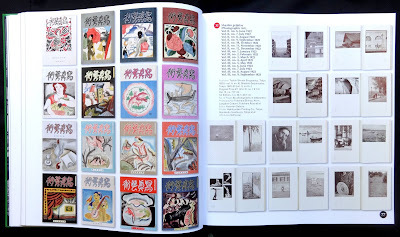 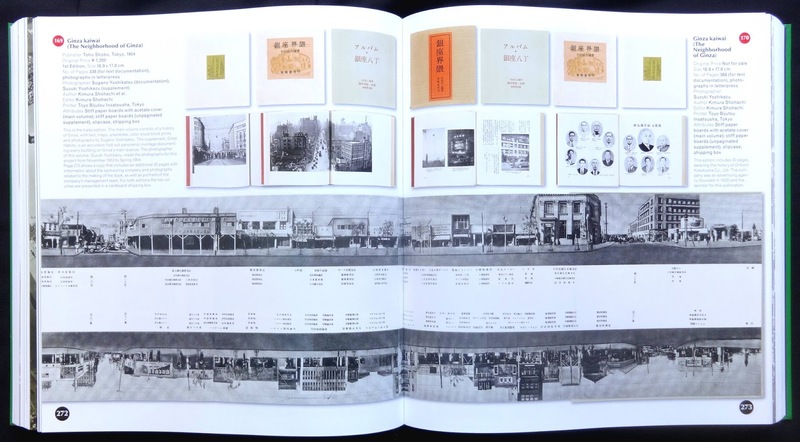 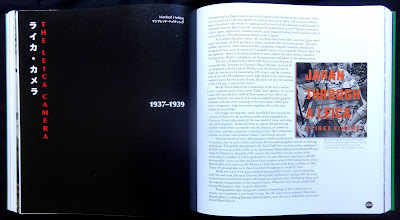 The longest chapter, over seventy-three pages, looks at photobook series from 1909 to 1982, this seems an area of publishing that is almost unique to Japan with books published as a visual record of the countries culture and development over the decades. 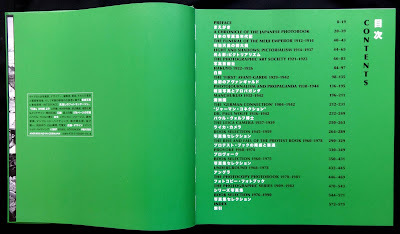 There are three chapters without a specific title other than Book selection, 1945-1959, 1960-1975 and 1976-1990. 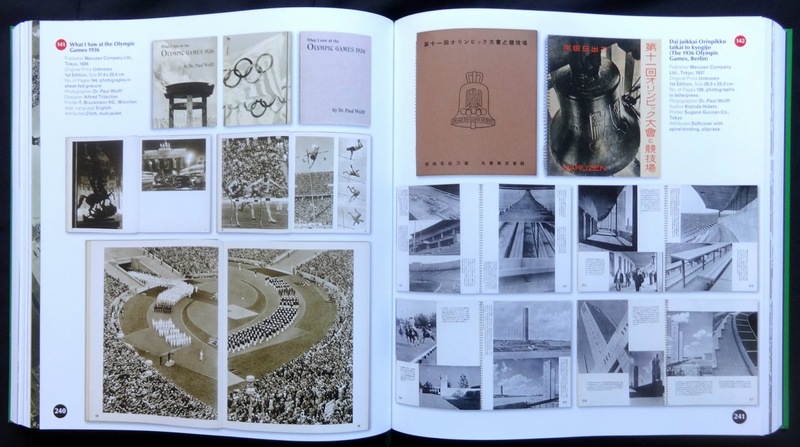 It's a chance to display the cover and inside spreads from a choice of worthwhile photo titles. As with the Soviet photobook I mentioned this Japanese edition is a handsome looking production, the 3,500 covers and spreads all have a slight drop shadow with printing using a 175 screen. 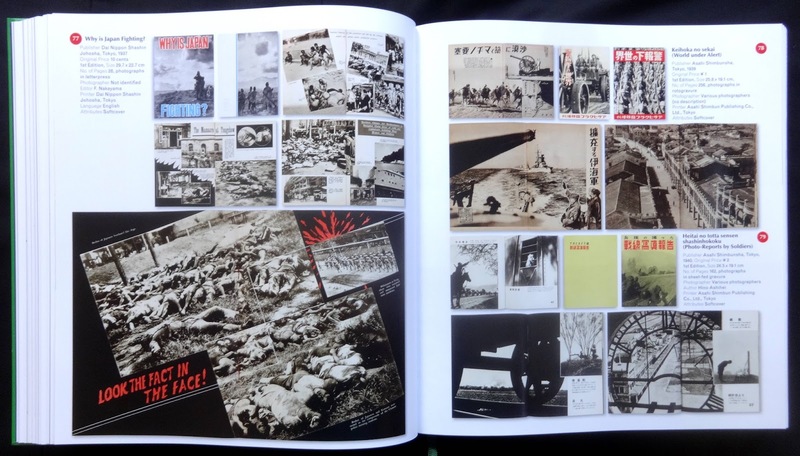 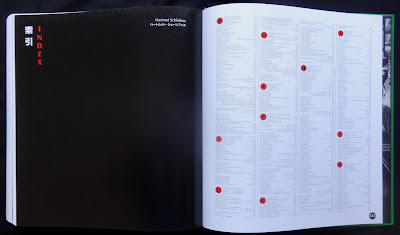 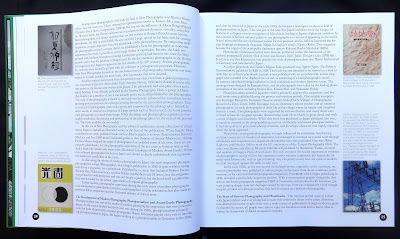 Despite the huge number of illustrations they are all very legible and nicely lots of the titles get a very generous helping of pages so the reader can get a feel of the book, for example Japan: the nation in panorama has the color cover and thirty-three spreads. 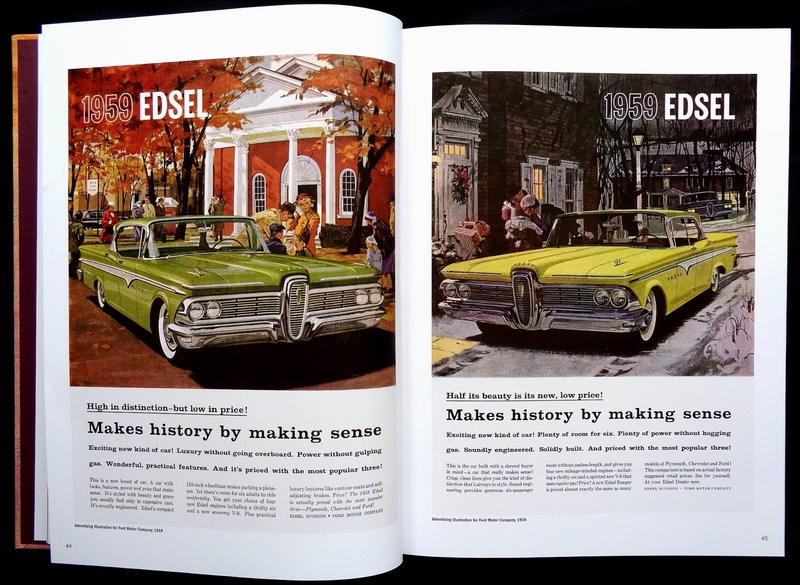 On page forty-five there is a 1959 ad for Ford's Edsel cars and I can remember tearing the page out of the Saturday Evening Post to keep in my illustration file. I liked the treatment of the people and the background rather than the car. 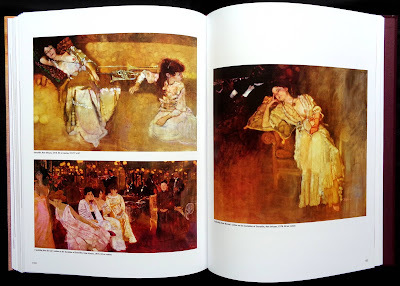 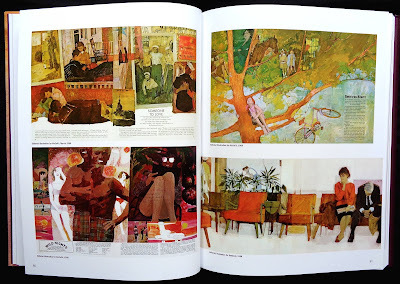 Years later I found out that it was painted by Bernie Fuchs. 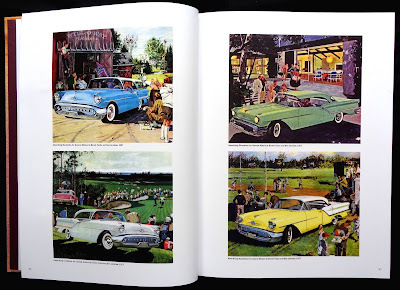 The brief chapter on auto illustrations has ten car paintings from 1955 to 1960 and in these six years you can see how Fuchs developed his style from the typical Detroit car presentation to his own way of painting backgrounds, foliage, buildings and especially clothing. The book is a handsome production with just over three hundred pictures and printed on nice matt stock with a 175 screen. 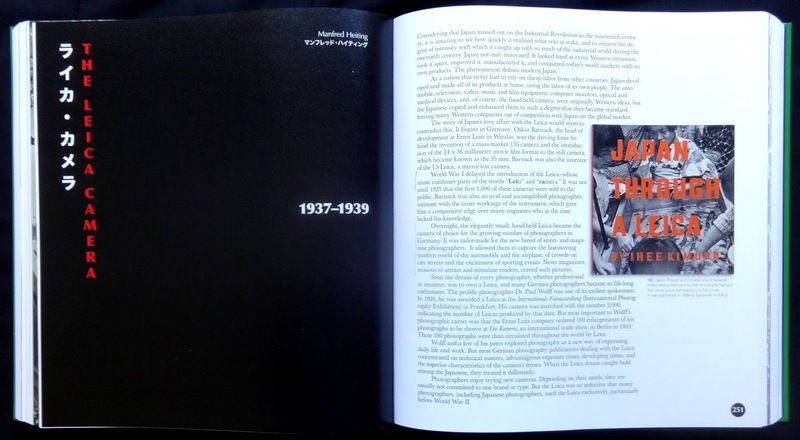 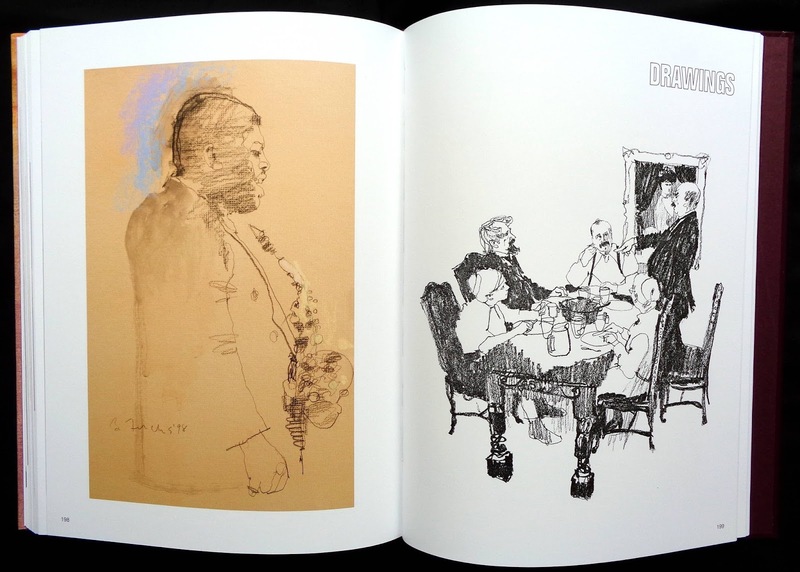 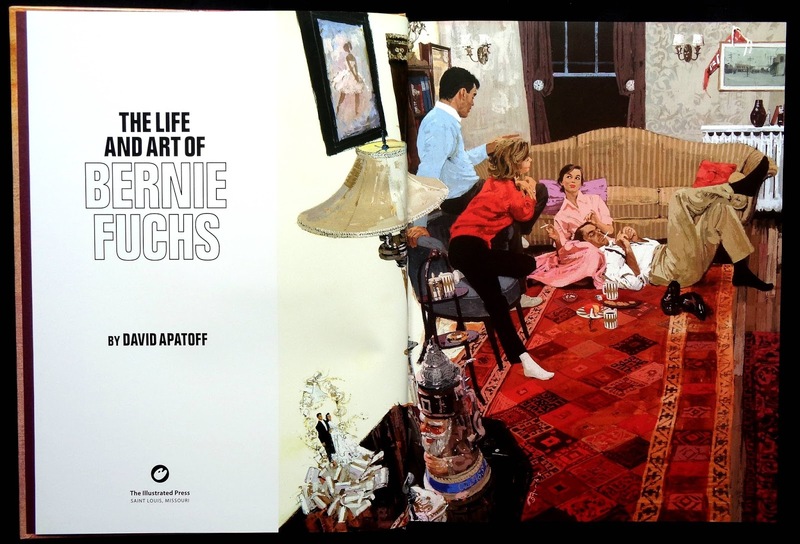 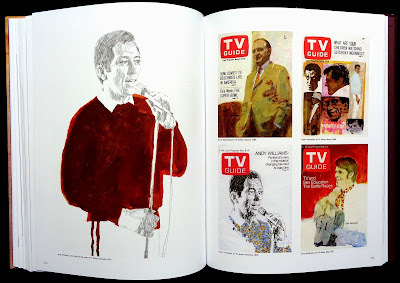 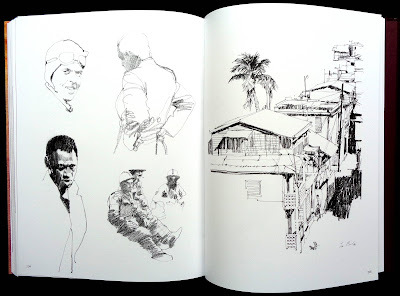 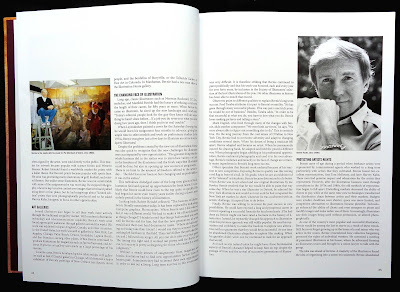 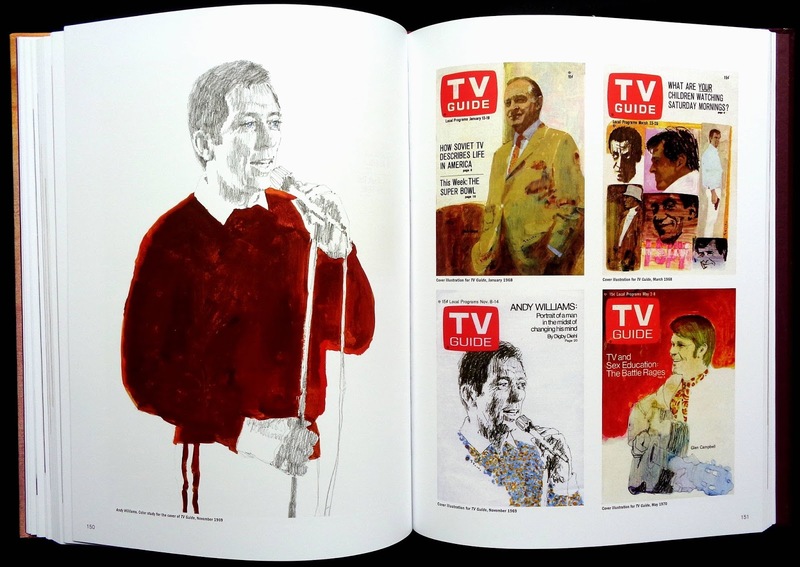 David Apatoff contributes an illustrated essay of the artist's life over twenty-nine pages. 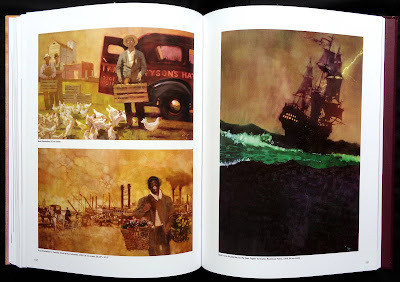 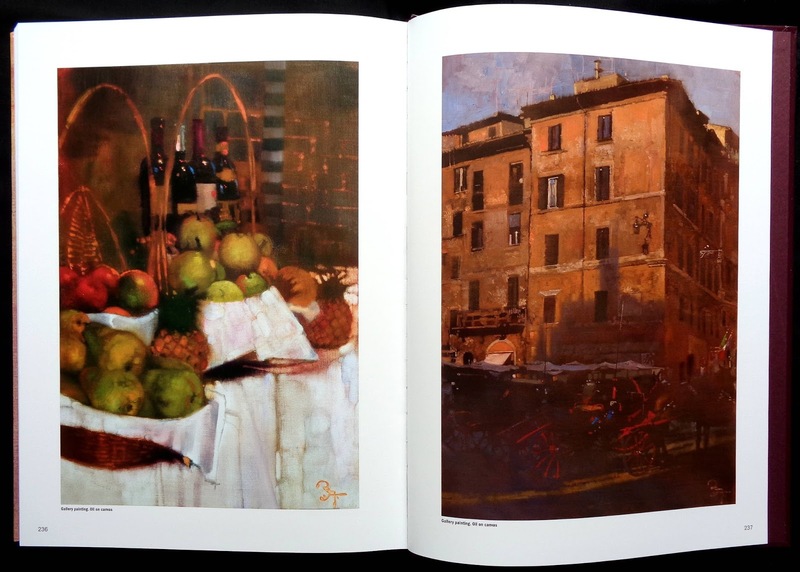 He mentions that during the late fifties Fuchs and a few other artists moved away from representational pictures to a much more expressionist style and the chapter on Editorial Illustrations has forty-eight examples full of wonderful design ideas for paintings to illustrate fiction. 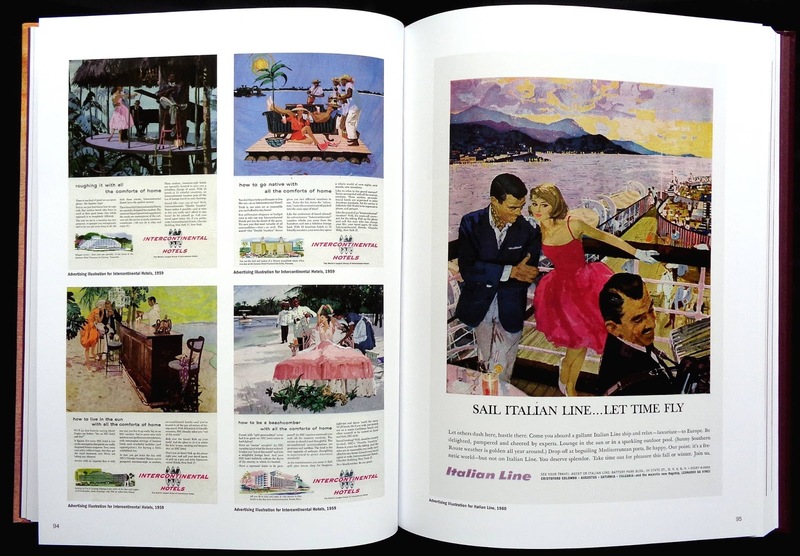 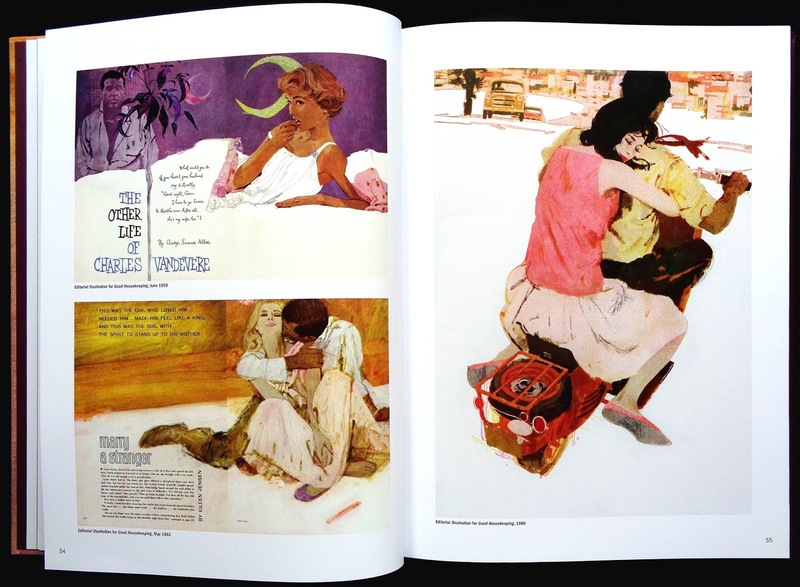 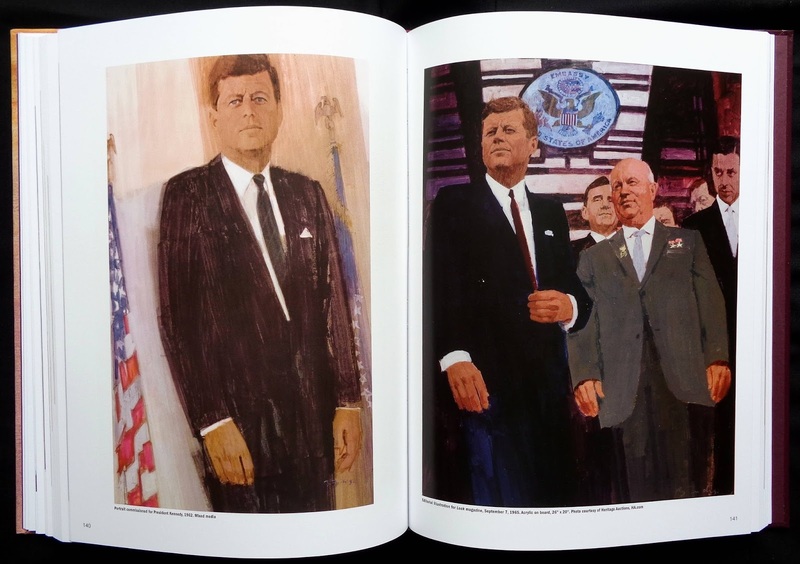 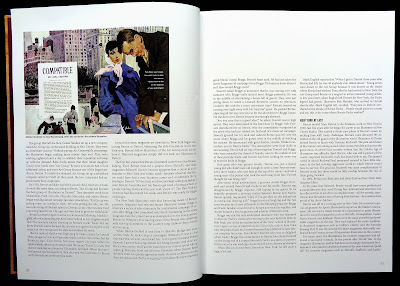 There are a couple on page eighty of McCall's spreads from 1966 and '68, both show a very graphic design approach rather than the traditional presentation of art for magazine fiction. 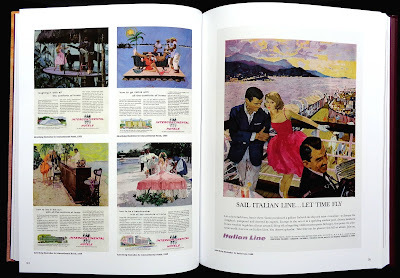 The chapter on Advertising continues the theme of original design paintings for major companies like Seagram's, Coke, Pepsi, Intercontinental Hotels and others. 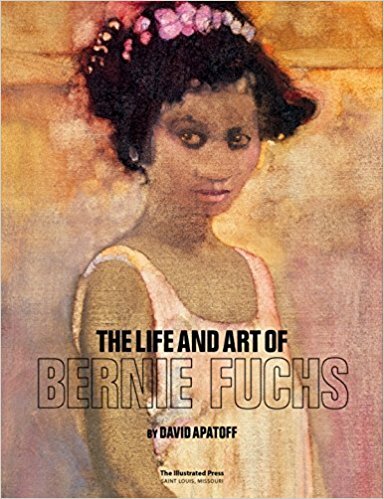 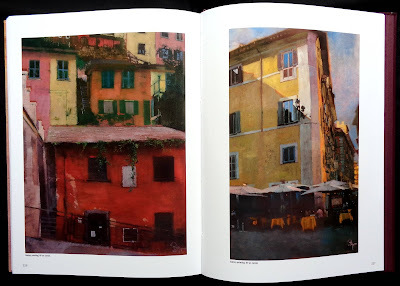 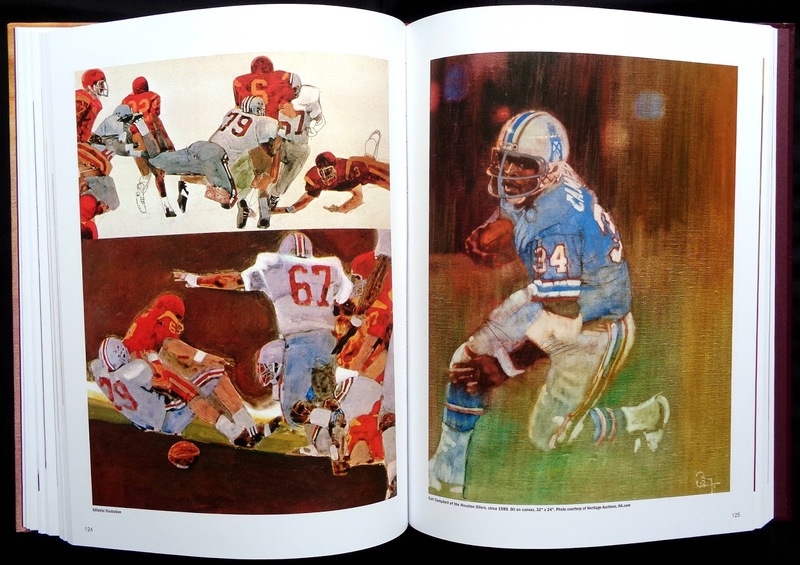 The longest chapter has thirty-nine paintings, many one to a page, for Sports Illustrated from 1961 and into the eighties and this where Fuchs hit his stride with work that is way beyond conventional magazine work. 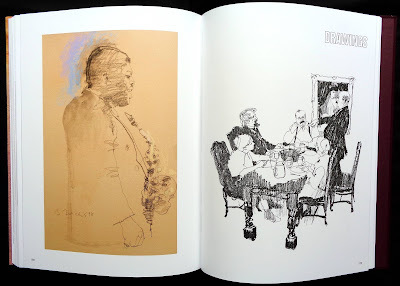 There's a lovely few pages near the back of black and white drawings, this opens on page 199 with brilliant illustration of four people sitting round a meal table, another figure is standing and pointing to one of the sitters, the style looks very loose and casual but of course it's incredibly professional with the use of line, shading and composition...a typical Bernie Fuchs solution and this book is full of such visual wonders.